Britain’s fashion industry is one of the most creative hotbeds of style and design in the world, and London Fashion Week has beauty and fashion editors from the biggest global publications descending en masse upon the city to find out which direction London designers are heading! The UK’s clothing industry has always been synonymous with quality fabrics – ever since Manchester milled cotton and exported it to the furthest corners of the globe – as well as contemporary design and fantastic use of colour. The country’s diversity, rich history and cultural freedom results in an incredible creative tradition that just keeps evolving. 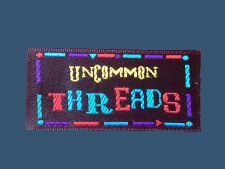 Here at Perfect Labels-Lanyards, we have many fashion designer customers who require high-quality custom woven labels for their clothing ranges. 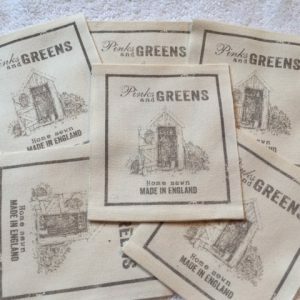 We offer natural cotton fabric labels and lightweight woven labels to suit all sizes, order volumes and design requirements, and many of our design customers choose die-cut finishes for a completely unique design. All of our cotton labels are of the highest quality and come from ethically sourced cotton. We use quality dyes, manufacturing processes and finishing to ensure that the resulting labels are as eye-catching and high quality as the piece of clothing they sit within. We understand how vital brand is to fashion designers, and we work hard to ensure that every label we produce – from custom printed designer labels and cotton care labels, through to lightweight woven labels and metallic woven thread labels, are completely on-brand and designed to support the overall ethos and creative credentials of the clothing they accent. Our range of specialist labels is huge – we even sell leather stamped clothing labels, handmade labels, cushion labels, metallic labels, woven picture images and plenty more – including retail swing and cardboard labels to present point of sale information to the customer. To find out more about sustainable labels, contact our friendly customer services team.